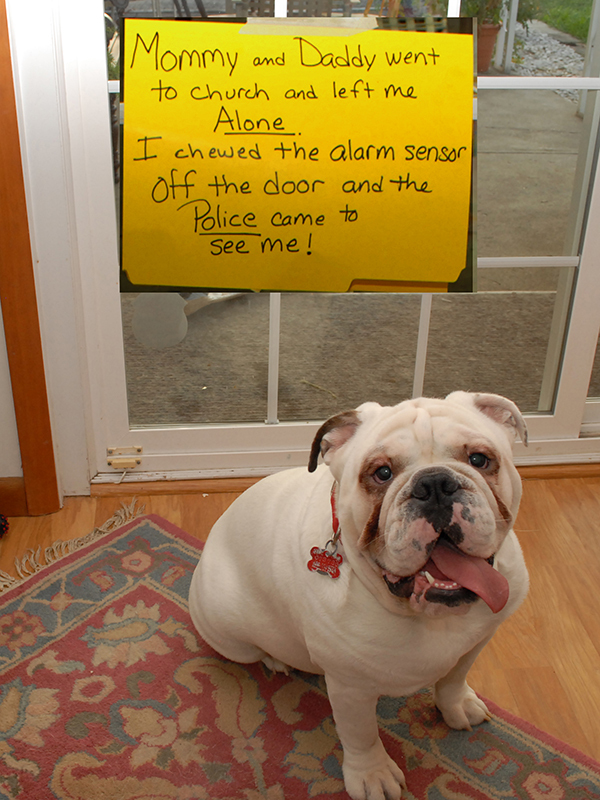 My wife and I went to church and when we got home we discovered our English Bulldog Sarge had chewed the alarm sensor off the patio door, set the alarm off and the cops came. Posted March 2nd, 2014 . That is too funny, hopefully you didn’t get charged for a false alarm. 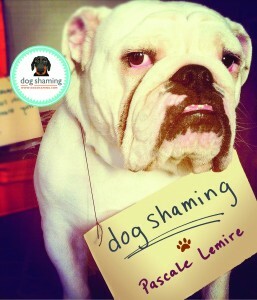 Great name for a dog who called the police. Guess there is more than one way to be a watchdog. So it was an inside job! I bet Sarge was thrilled to meet several excitable new best friends!